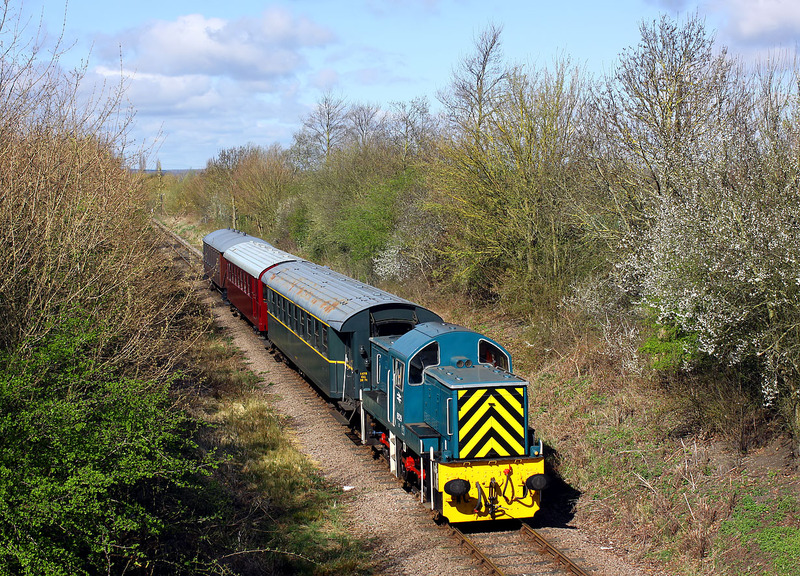 9529 trundles past Castor on 11 April 2015 with the 1E46 10:42 Wansford to Peterborough service, during the Nene Valley Railway's Diesel Gala. 9529 in reality never got to wear BR blue livery, as it was withdrawn in 1968, still in green. After a second career in industrial use, it entered preservation in 1981.